Professional basketball player best known as a member of teams like the Houston Rockets and Euroleague teams like FC Barcelona Basquet. He won a Greek League Championship with Olympiacos Piraeus BC in 2012. 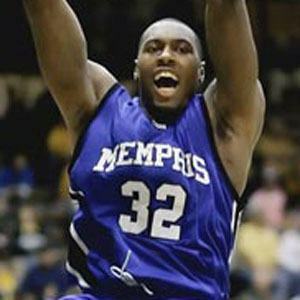 He played college basketball with the Memphis Tigers from 2004 to 2008. He won the Greek League Best Defender award in 2012 with Olympiacos Piraeus BC. His mother, Charlene, raised him and his sister, Candice, as a single mother. He was teammates with future NBA MVP Derrick Rose on the Memphis team which played in the 2008 NCAA Men's Division I championship game.